Many iPhone users use WhatsApp to chat and communicate with friends and family. In fact, WhatsApp is becoming one of the most used apps among Smartphone users. However, there could be a situation where it becomes necessary to delete WhatsApp contact off your iPhone. So, how can you delete WhatsApp contacts from iPhone? Step 1: Open WhatsApp on your iPhone and go to "Chats". Step 2: Tap “new chat” icon, click the contact and tap the contact at the top of the chat screen. Step 3: Tap "Edit" and scroll down the screen. Step 4: Tap “Delete Contact". 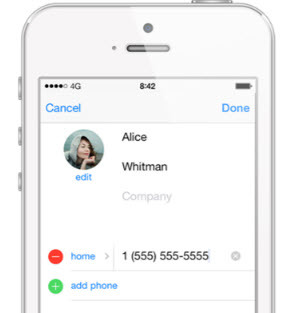 Note: You can also directly delete contacts from your iPhone address book. But note that, deleting WhatsAppp contacts won't delete the chat history. Contact Still Visible in WhatsApp After Deleting from Contact List? This is one problem faced by WhatsApp users. According to WhatsApp, you may need to refresh the list after deleting the contact list, but the issue remains that it will still not get deleted if you have some past chats with the contact. However, you could delete the previous chat from the contact list to see if the contact gets off your device, otherwise another way will be to block the contact. 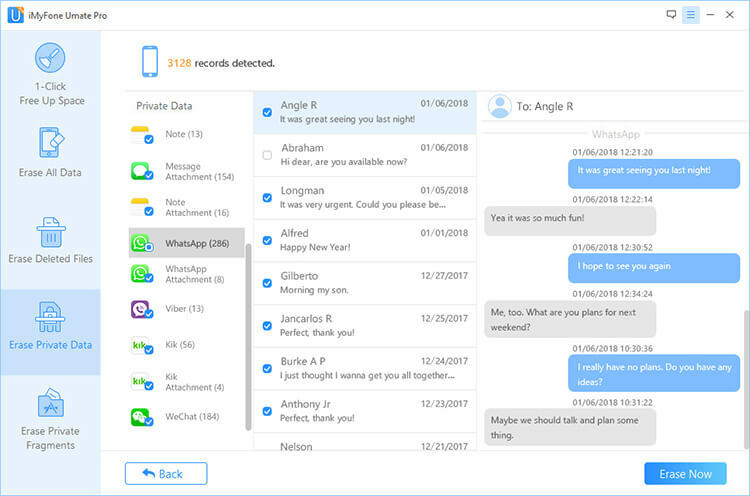 Note that in all these, WhatsApp contact that is deleted through this means can be recovered by data recovery tools and if privacy and data security is important in this situation, then it is not the best way to go about it. Step 1: launch WhatsApp on iPhone and go to Settings. Step 2: Go to Account > Privacy > Blocked. Step 3: Tap “Add New” button to block contact. The simple way to delete WhatsApp contacts on iPhone is not permanent, so does to delete WhatsApp conversations! The WhatsApp contacts, messages and attachments which are manually deleted from iPhone are still recoverable. With the recovery tool, you can easily access them again. Stop simply deleting WhatsApp data, and simply turn to using the highly rated iMyFone WhatsApp Eraser. It's the best way to get your WhatsApp contacts, messages, attached photos and videos permanently erased from your iPhone, without leaving any chance of recovery. Preview and select WhatsApp messages, photos, videos, voice messages, and other attachments to completely erase. Wipe private traces and fragments left by WhatsApp, it also work for Snapchat, Twitter, Facebook, Instagram, and 10+ more apps. Show previously deleted files and authorize to thoroughly remove them. iMyFone WhatsApp Eraser is the No.1 iPhone eraser that supports 3rd-party apps. It's spoken highly of by famed media, like MacWorld, iPhoneinCanada, APPKED, etc. Step 1: Connect Your iPhone to the program after having installed it on your PC. Step 2: Select the the tab of “Erase Private Data” and let it scan. Note: You can select "Erase Deleted Files" to scan the previously deleted contacts which are still recoverable and completely wipe them. Step 3: Preview and check unwanted WhatsApp data. Click on the “Erase Now ” button to erase your iPhone WhatsApp messages and attached videos/photos permanently. iMyFone Umate Pro is designed to offer Smartphone users the ability to clear up iPhone to perform optimally. 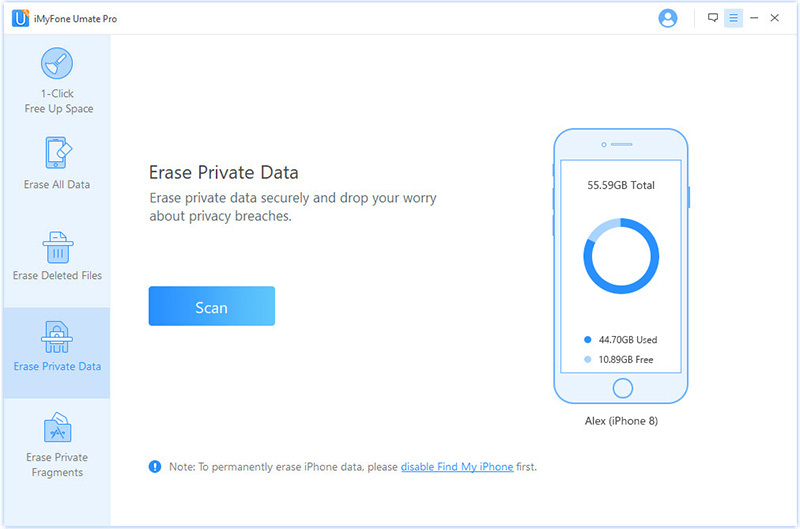 Umate Pro is the all-in-one solution for iOS space saving and privacy protection tool that can erase data safely and permanently.